How has your inbox been treating you? If you’re like me, the answer is, “Not good.” I get lots of email throughout a given day, and a lot of it is fairly important because they contain action items and things I will need to follow up on. Gmail makes the whole process easier, of course, with its browser integration 4 Ways To Set Gmail As Your Default Email In Your Browser 4 Ways To Set Gmail As Your Default Email In Your Browser As users are slowly migrating data to The Cloud, having a webmail account has become a given, with Google Mail being the top choice. Unimpressed by these developments, Windows continues to link email hyperlinks (a.k.a.... Read More , smart labels Gmail Labs Introduces Automated Filtering with Smart Labels [News] Gmail Labs Introduces Automated Filtering with Smart Labels [News] Read More , attachment search How to Quickly Find Messages with Attachments in Gmail How to Quickly Find Messages with Attachments in Gmail Gmail and attachments are tied to one another. These tips will help you find, manage, and delete the large attachments before they turn into a problem. Read More , and ability to print from my mobile device How To Print From Your Phone With Gmail For Mobile & Google Cloud Print How To Print From Your Phone With Gmail For Mobile & Google Cloud Print Read More , but in the end it’s all on me to stay on top of the mound of incoming emails I receive, and I, unlike Google, am merely human, after all. If only I had a task force to back me up…. Simply put, TaskForce is an extension available for Chrome, Firefox, and Safari that turns emails into tasks for you. With TaskForce, you can organize tasks into simple lists that you create yourself. It integrates with Gmail, but exists as an independent frame in the interface that can be dragged around and rearranged to suit your needs. How Do I Start Using TaskForce? To add TaskForce to your Gmail experience, just head over to their homepage and click the Add to Gmail button. If you use an email platform other than Gmail, you can opt to select that option instead. Once you click the button, a prompt will appear asking for your email address. Enter it in the box and click the Signup to be taken to the download page. If you’re a Chrome user (like I am), you will be redirected to the Chrome Web Store to download the extension. 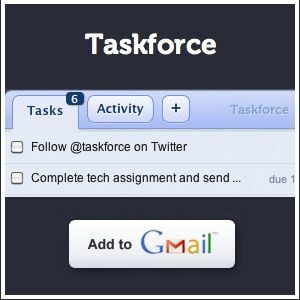 Once installed, TaskForce will appear when you next log into your Gmail account. Now you can convert any of the emails in your inbox into tasks simply by clicking the Convert to New Task button directly under the email subject. You can set a date for the task and add it to an existing list of tasks if you like, or create a new list. In addition to converting emails you open, you can also add tasks by clicking the plus sign on the TaskForce app. All of your tasks will be added to the “Current Task List” by default, but you can opt to add them to one of your other created lists. You can also add a description to your tasks to provide context. TaskForce will separate tasks by Active, Completed, and Delayed automatically. Another interesting feature of TaskForce is the ability to notify the sender that you’ve converted their email into a task. 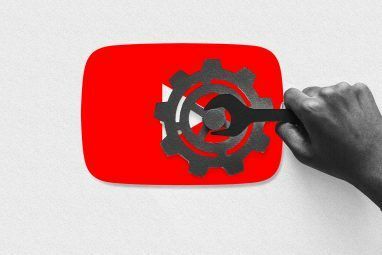 Once a task is completed, a notification is sent to the sender including a link so that the sender can add a comment to the task if they please. You can also invite people to collaborate on the task. TaskForce has been a lifesaver for me. No longer to I have to star or label emails and try to remember them later. I can just refer to my task list for all of my action items and then work through them one by one. It’s also a good way to view everything that’s on your plate all at once, so you can maintain your focus. If you’re into Gmail extensions I also recommend you check out 0boxer. 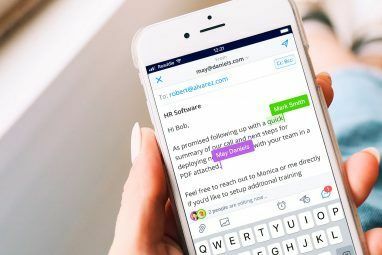 It brings a level of competition to getting through your email load, especially if you get your other friends/coworkers involved to compete against. A little competition never hurt anybody. Will you be giving TaskForce a try? What other Gmail productivity extensions can’t you live without? Explore more about: Email Tips, Gmail, Google Chrome, Mozilla Firefox, Safari Browser, Task Management, To-Do List. What do they need my email address for? Seems a little intrusive for what it does. Jim, Taskforce will email you with updates occasionally, which you can opt out of. 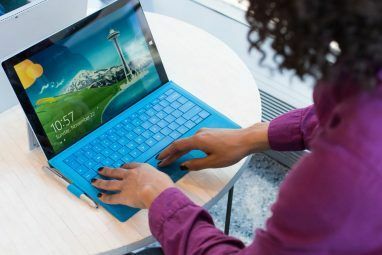 I tried this but in the end found I preferred Active Inbox which has a bit more in the way of GTD options thereby matching the way I now work. Active Inbox does, however, take a bit longer to set-up. And it is worth pointing out the the Taskforce guys are very responsive to their users feedback. Thanks for the comment, Ray. Appreciate the insight.